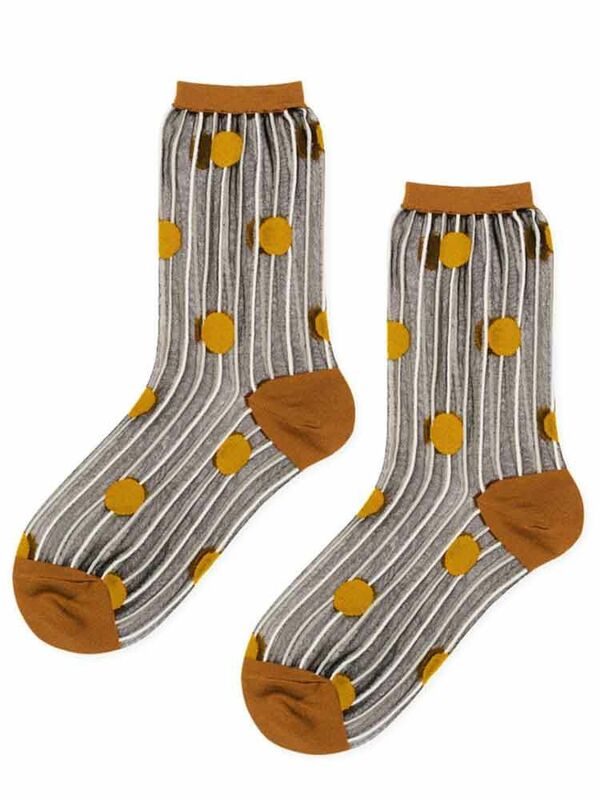 Hansel from Basel stripe sheer crew socks features a combo of spots and stripe pattern as well as a colorblocking at the toe and heel for even more fun flair. Top-notch quality, a rare high needle count for detailing, and a hand-closed toe for extra comfort. Socks composes of 100% nylon. Made in Japan.